State officials quickly determined an arsonist started last month's huge wildfire southeast of Los Angeles, and that two weeks earlier sparks from a vehicle produced a deadly wildfire in the far northern part of the state. But causes for many of California's worst blazes of the past decade remain a mystery. The Associated Press reviewed state data on the 10 largest wildfires and 10 most destructive, in terms of homes and buildings burned for each year dating to 2008. Lightning was the most common cause, accounting for about a quarter of those fires, followed by incidents involving power lines. "If we don't know what causes a fire, we don't know how to prevent them," said Carrie Bilbao, a spokeswoman for the National Interagency Fire Center who investigated wildfires in Idaho for 26 years. 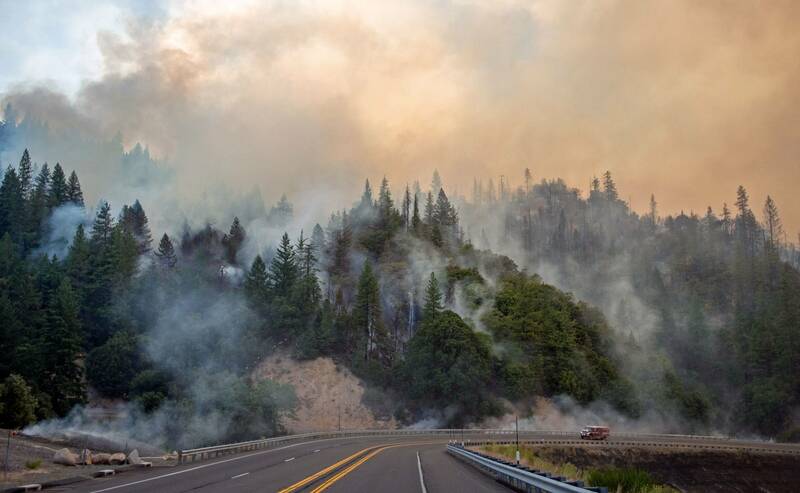 It's estimated human activity — from untended campfires to sparks from vehicles — causes more than 80 percent of all wildfires in the United States, according to the National Interagency Fire Center. Arson was pegged as the cause for only five of California's most destructive or largest fires of the last decade, according to state records, though officials say the true number likely is much higher. That's because for arson to be the cause, no other possibility can exist. So, for example, even if investigators believe an arsonist was responsible for a fire next to a rail line, they may leave the cause undetermined because they can't rule out a spark from a passing train. The driver immediately reported the fire, so there was no mystery about how it started. Such quick confirmation is unusual. "Trying to investigate any kind of fire is almost like trying to investigate a murder — except most of your evidence has been destroyed, and everything around it has been destroyed, by fire," said Lynne Tolmachoff, spokeswoman for the California Department of Forestry and Fire Protection. It's a painstaking process, even when fires are small. But often it comes down to two possible causes, which results in the cause being declared undetermined and the case being closed unless new evidence appears. Tolmachoff can't recall an investigation to determine a cause ever reopening. Last year's Tubbs and Thomas fires still are under investigation. Lawsuits seeking billions in damages have been filed. Concern that California's largest utility, Pacific Gas & Electric Co., would go bankrupt if it's found at fault for the Tubbs Fire prompted the Legislature to pass a bill allowing the company to raise utility bills to pay off lawsuits.